Purefecto: What would I buy if I have all the money in the world during the first mark down? What would I buy if I have all the money in the world during the first mark down? The sale has finally started. With markdowns galore, here are some interesting pieces I would buy if I have all the money in the world (although I suppose if that was the case, I would have most likely purchased them at retail three months ago... lol). Barney's New York started with a bang with 40% off across the board more or less. I love this Saint Laurent Paris hoodie. Hoodies have been done a zillion times before, but never so chic with a combination of leather and cotton! Marked down from $1,390 to $829. Letterman jacket has never looked cool with combination of cashmere and leather. It still cost an arm and a leg but Thom Browne does it again. Marked down from $2,450 to $1,469. Bottega Veneta one upped everyone and is having a 50% off sale on its clothes. 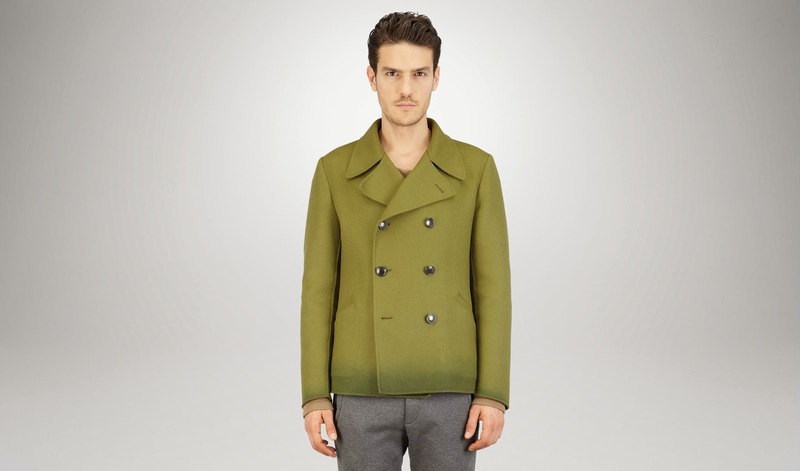 This dip-dye double twill wool cashmere peacoat is one interesting color. I very rarely wear green but I like the unique take on the dip-dye part of the garment. The color looks very cheery. Marked down from $2,750 to $1,379. MatchesFashion is only 30% off on the more desirable brands but with weak euro and their starting prices typically is about 10% lower than other online retailers, it comes out about the same as other 40% off. 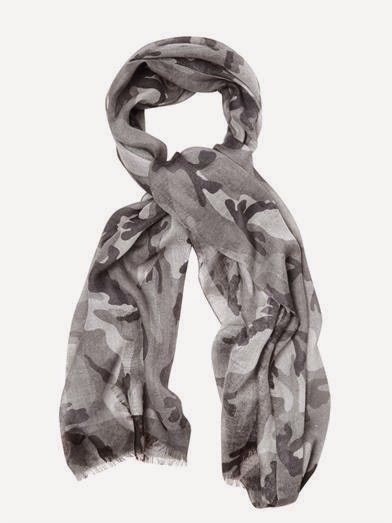 This Valentino cashmere and silk scarf continues camouflage design from the spring season. Since camouflage pattern is a tried and true design, I have no doubt this scarf will help one to stay stylish with many years to come. Marked down from $445 to $311. 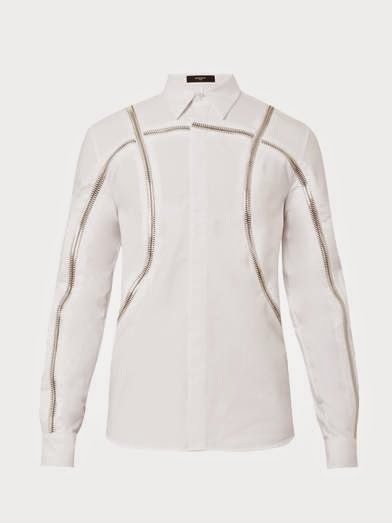 This jaw dropping expensive Columbian-fit basketball-zip shirt from Givenchy is absolutely brilliant and is my favorite shirt this season. I just love the basketball zipper pattern on the shirt. Very unique and unexpected. It is definitely eye catching and some may say you wear it once and you can't wear it again because people will remember you wearing it. I say so what? A shirt as brilliant as this deserves to be worn many times over. Marked down from $1,707 to $1,194.